The Lottery or Lotto: is Lottery Gambling and is Luck Involved? Home Gambling Lottery – Gambling? Lottery – Lotto: another form of Gambling? A lottery is a form of gambling which involves the drawing of lots for a prize. This involves luck in order to be a winner. Lots of luck for most lotteries, since the odds of winning are so low. A Lottery, sometimes called Lotto, is outlawed by some governments, while others endorse it to the extent of organizing a national or state lottery. States and governments know they can make essentially “free” money by offering a lottery. Governments almost always impose some degree of regulation of a lottery or lotteries. Around the beginning of the 1900s, most forms of gambling, including lotteries and sweepstakes, were illegal in many countries, including the U.S.A. and most of Europe. This situation remained until after World War II. In the 1960s casinos and lotteries began to appear throughout the world as a means to raise revenue in addition to taxes. Lotteries come in many types and formats. The prize can be a fixed amount of money or it could be goods of some type. There is risk to the organizer if insufficient tickets are sold. So there are probably fewer of these types of lotteries. More common is where the prize money will be a fixed percentage of the ticket receipts. 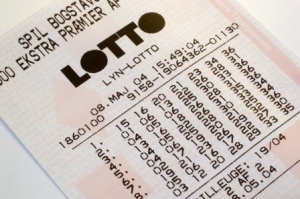 Many recent lotteries allow purchasers to select the numbers on the lottery ticket. The result is he possibility of multiple winners. In addition to the lottery prizes offered, the lottery ticket may enable some purchasers to experience a thrill and to indulge in a fantasy of becoming wealthy. This may be especially true if the recent Mega Millions Lottery in the USA is used as an example where the big prize was over 600 million dollars. In some places the line to buy tickets near the end of the ticket buying time were many blocks long. I don’t play the lottery myself. However, when the potential payoff was that high I decided to invest my spare change, a measly $2 to buy two tickets. Unfortunately my wife had heeded my warning to buy her tickets early to avoid any last minute rush. So I was out of luck and didn’t get a chance to get tickets. Maybe I might have lost millions by waiting too long. The chances of winning a lottery jackpot can vary significantly depending on the particular lottery. It is determined by several factors, including how many possible possible numbers to choose from. It includes the number of winning numbers drawn. Plus the order of numbers drawn is significant including whether drawn numbers are returned for the possibility of further drawing. In a simple 6-from-49 lotto, a player chooses six different numbers from 1 to 49. If all six numbers on the player’s ticket match those produced in the official drawing, then the player is a jackpot winner. For such a lottery, the chance of being a jackpot winner is 1 in 13,983,816. The SuperLotto Plus in California has odds of 41,416,353 for all 5 numbers and the Mega number. In bonusball lotteries where the bonus ball is compulsory, the odds are often even lower. In the Mega Millions multi-state lottery in the United States, 5 numbers are drawn from a group of 56. One number is drawn from a group of 46. The player must match all 6 balls to win the jackpot prize. The chance of winning the jackpot is 1 in 175,711,536. The odds of winning can also be reduced by increasing the group from which numbers are draw. In the SuperEnalotto of Italy, players must match 6 numbers out of 90. The chance of winning the jackpot are 1 in 622,614,630. Most lotteries give lesser prizes for matching just some of the winning numbers. The Mega Millions game gives a payout (US$2) if a player matches only the bonus ball. In the UK National Lottery the smallest prize is £10 for matching three balls. Matching more numbers, the payout goes up. Although none of these additional prizes affect the chances of winning the jackpot, they do improve the odds of winning something. Because of this they add a little to the value of the ticket. On the other hand, multiple smaller prizes usually mean smaller jackpots. It is common for the jackpot to be split evenly if multiple players have tickets with all the winning numbers. So as you can see there are lots of possibilities to choose from in most lotteries. Since this is the norm it means you have a very small chance of winning the big prize. You definitely need luck on your side to win the jackpot. This also goes for most consolation prizes when offered. A Lottery, like any other form of gambling, is susceptible to fraud, in spite the high degree of scrutiny claimed by the lottery organizers. It is possible the machine that selects the balls or numbers is rigged. In some US states, such as Kansas and Minnesota, losing lottery tickets can be mailed in for a raffle of special prizes. The trouble with that is that employees of stores that sell lottery tickets sometimes collect the losing lottery tickets that people thrown away and send them in. Obviously, since the retailers selling the tickets have an unlimited supply of free tickets that is a tremendously unfair advantage over an individual with losing tickets. 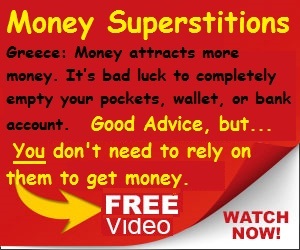 Some advance fee fraud scams on the Internet are based on lotteries. The fraud starts with spam congratulating the recipient on their recent lottery win. You’ve probably received them your selves if you use email. The email explains that in order to release funds the email recipient must part with a certain amount of money as per the rules or risk forfeiture of their “winnings”. Of course it is a big fraud so don’t get caught believing it or get your hopes up falsely. Another form of lottery scam involves the selling of “systems” which supposedly improve a player’s chances of selecting the winning numbers in a Lotto game. Sale of these systems or software is legal. However, they mention that the product cannot guarantee a win, let alone a jackpot. 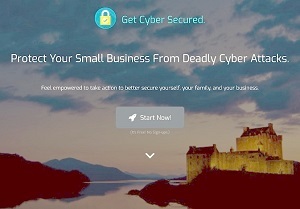 Several companies offer a service where they will buy tickets for online clients in any of dozens of countries otherwise inaccessible to them, for a huge mark up, of many hundred per cent. There have also been several cases of cashiers at gas and convenience stores who have attempted to scam customers out of their winnings. Some locations require the patron to hand the lottery ticket to the cashier to determine how much they have won, or if they have won at all. The cashier then scans the ticket to determine one or both. In cases where there is no visible or audible cue to the patron of the outcome of the scan some cashiers have taken the opportunity to claim the ticket is a loser. Or they may say it is worth far less than it is and offer to “throw it away” or surreptitiously substitute it for another ticket. The cashier then pockets the ticket and eventually claims it as their own. This particular scam has been revealed and shown on TV exactly hoe it operates. Make sure it doesn’t happen to you. One way to be sure a store clerk does not cheat you is to check for the winning numbers first. Check on the internet, TV, or newspaper, etc. in the privacy of your home.